Friends don't let friends miss out on money for college...or really great prizes! Submit your 2019-2020 FAFSA and enter to win one of our many weekly prizes. You will also be entered to win the GRAND prize at the end of the contest on March 25th. Once you have entered the contest, your name will remain eligible to win each week, so the sooner you do your FAFSA and enter the contest, the more chances for you to win, so enter early! Up to 10 Chances to Win Each Week! You are currently enrolled for Spring 2019. You are a Rowan University undergraduate student. Please note: Medical, graduate, third-year RCBC/RCGC, and non-matriculated students are not eligible. You submitted a valid 2019-2020 FAFSA. A valid FAFSA must be on file for the student and received by our office prior to the drawing date to be eligible to win a prize for that week. Each student who has entered the contest will be in the running for his/her name to be drawn each week. Students who win a weekly drawing are not eligible to win an additional weekly drawing, but are eligible to win the Grand Prize. Rowan employees are not eligible to win with the exception of student workers. Multiple entries into this contest are prohibited and could result in disqualification. No purchase is necessary and contests are void where prohibited. All local, state, federal and other taxes or fees for prizes awarded become the sole responsibility of the winner. All prizes are awarded “as is.” No substitutions or transfer of prizes are allowed. Those who win prizes valued at over $600 will be issued an IRS Form 1099 to report their winnings. All prizes are to be claimed within 7 calendar days of winning (excluding holidays). Proper identification must be presented to claim prize. Failure to collect the prize within 7 days will constitute forfeiture. After such time, ownership of said prize reverts back to the Office of Financial Aid. 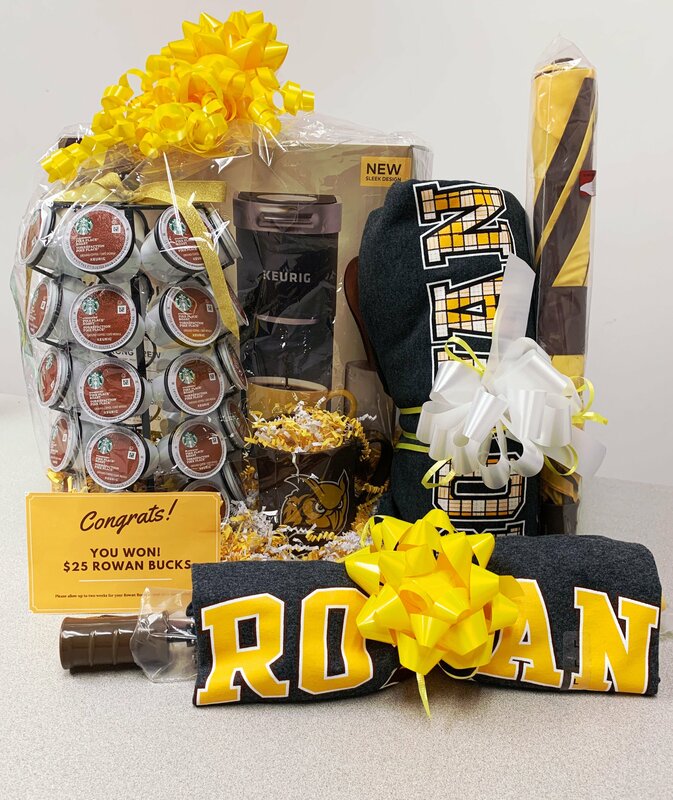 Winners must agree to having their name and photo shared on Rowan University social media accounts, the Rowan website and other uses in relation to this contest. All contest winners must release Rowan University from any and all liabilities arising directly or indirectly from the prize. Violations of any of these rules or attempts to win any contest by fraud, deception or cheating shall be grounds for disqualification of that individual from participating in all current and future contests and events at our sole discretion as well as forfeiture of any prize or prizes won by fraudulent means. The Office of Financial Aid has the sole discretion to terminate a contest at any time, change the rules of or extend the dates of a contest upon notice. The contest rules contained herein are subject to change at any time without notice.